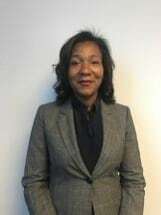 Dontrice P. Hamilton, is a solo practitioner at the Law Office of Dontrice Patience Hamilton. She has had success experience in all areas of her practice before judges. Her practice focuses on divorce and family law and criminal law. Ms. Hamilton is committed to providing sound legal advice and strong advocacy to individuals and families facing legal problems. She has a record of demonstrated results and is a recognized member of her local community. Attorney Dontrice P. Hamilton graduated from The George Washington University National Law Center. While in law school she interned at the Circuit Court for Baltimore City. After graduation, she was a Judicial Law Clerk to The Honorable William B. Spellbring, Jr. at the Circuit Court for Prince George’s County. She is admitted to practice in Maryland and the District of Columbia. Ms. Hamilton, is an avid runner and traveler. She has visited and/or lived in France, England, Holland, Scotland, Canada, Sierra Leone, Nigeria, Togo and Ivory Coast. She also enjoys reading and just recently started Tae Kwon Do.